Despite working in the wine industry, possibly my favorite drink of all time is a good Gin & Tonic. Light, refreshing, packed full of flavour and perfect at any time of the year. But what makes a truly perfect Gin & Tonic? Hendricks? Warner Edwards? Sipsmith? Gordons? These are all very valid suggestions as they are certainly up there with my favorite makes of Gin. However, what many people seem to forget is that the drink isn't just called 'Gin'. It's a Gin AND Tonic, so it is reasonable to suggest that you cannot have a truly great Gin & Tonic without a truly great Tonic. Now, usually I am content with a tin (always tins) of Schweppes Indian tonic water from the supermarket. It is a great, go to Tonic and does what you ask of it. Despite this being a 'starting point' Tonic, at around £5 for 12 cans, it is hardly a 'bargain'. Plus, you have to buy lime or cucumber on top of that (if you have lemon with your G&T, please leave now). So this time, when stumbling into the tonic section in my local Tesco I cricked my neck up to the top shelf to see what light may shine down on me. Walk in, Fever-Tree. How can you make a 'great' Indian tonic? Surely they all taste pretty much the same! Wrong, it is all about the quality of the quinine (the tree of which produces quinine is known as the 'Fever-Tree', hence the name), must be clean and have fantastic carbonation. This has it all and when mixed with the Gin of your choice it will sing its praises. It really helps you get the best out of your Gin. Elderflower for me is hands down the nicest squash to have with fizzy water. It is the perfect (non-alcoholic) hangover cure. I've never had it in a G&T though....... Weird. I have to say, I was pretty bloody smitten. The sweetness of the elderflower blended beautifully with the natural bitterness of the quinine and it gave it a delightfully floral aroma. A match made in heaven. For me, however, the bitterness from a G&T is it's defining and moreish characteristic. I felt this did slightly take it away from a true G&T and made it something different. Delicious, none the less. Basically Posh for 'bitter lemon'. A great drink, but I find bitter lemon a bit too overpowering for the subtlety and freshness required in a G&T. Also, I feel the flavour of lemon and the acidity from it clashes with the quinine whereas the slightly fleshier, more forgiving taste of lime is spot on. 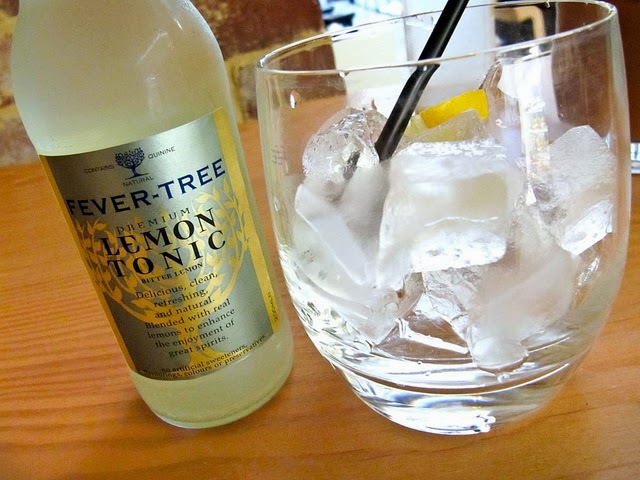 However, the quality of the Fever-Tree version on bitter lemon is darn impressive. My posts tend to be a bit of a morality tale. So, as always, a bit of advice. That was pretty good, eh? May start a cult! I did study Philosophy after all. 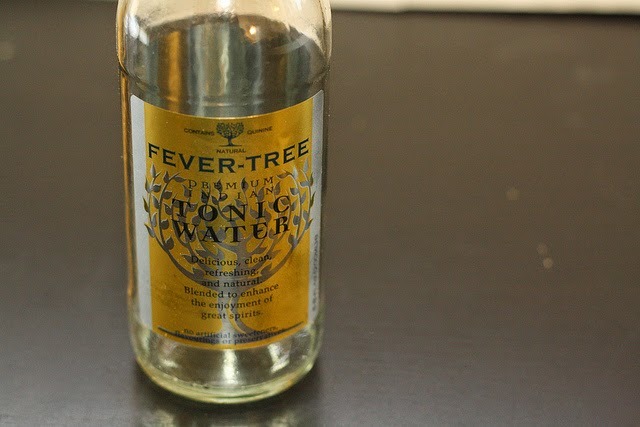 Fever-Tree is readily available in both Tesco & Waitrose in 100ml and 500ml bottles. Competition Time: Food & Wine Giveaway! Port: The First English Winemaking Success? Celebrity Wine: Miraval Rose - Is It Worth It? Monday Morning Mugs: Walls Classic Lollies Mugs! Get Ready for London Wine Week! Own-Label Wine - Do or Don't?